And then you will have beautiful clothes that fit well. I don't know how beautiful anything will be right off. I definitely need some more work on my skillz. Laura's sewing school on Broadway in Arlington is offering Tuesday, Wednesday and Friday morning series sewing classes in September/October. 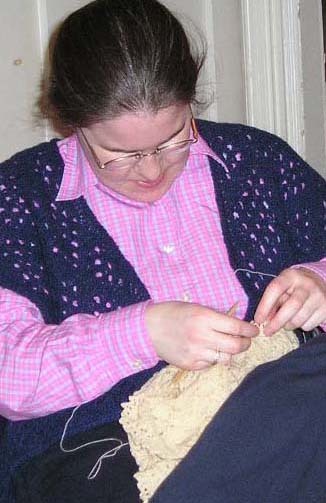 She's also thinking of offering knitting classes. Very snazzy! I really need to consider a new sewing machine, because I think my cheap one is half of the problem. I get so frustrated with the one I have. My daughter took the children's class at Laura's and really liked it. Email me or talk to me in person if you want more thoughts on it.